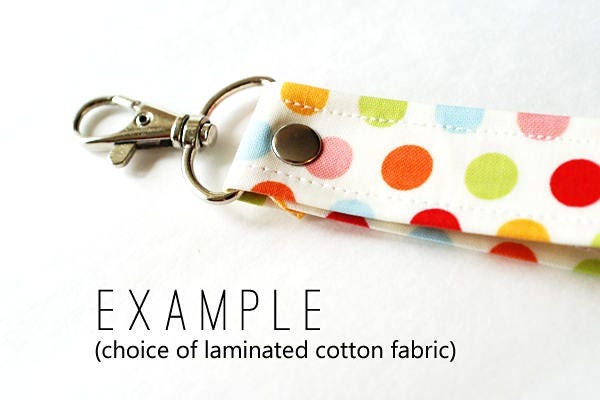 This durable laminated cotton wrist strap can be attached to a Carry-It-All, Organize-It, or Zip-It, or used on its own as a key fob. 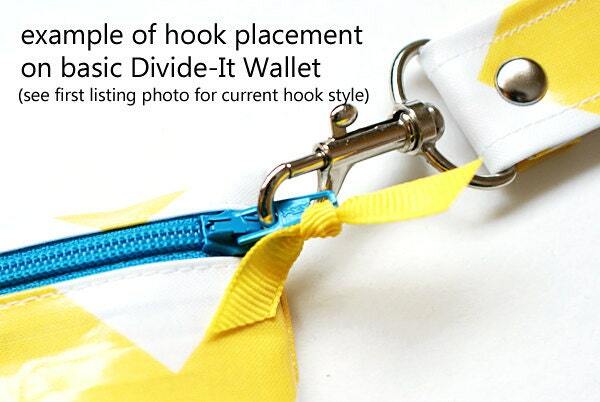 On each wallet, I reinforce the attachment point 5-6 times to ensure it will hold with the strap attached. You may choose "Exact same as wallet" or "Any coordinate" from the options on the right. 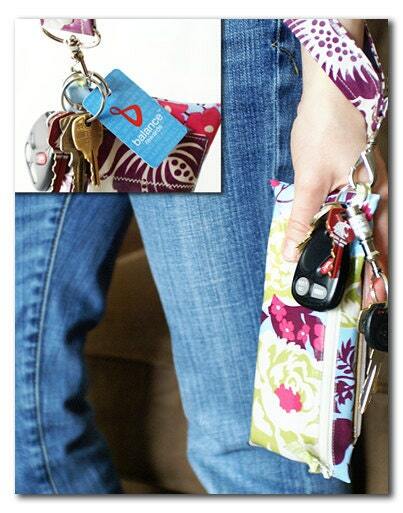 In the second case, I will just choose a fabric that coordinates nicely with your wallet. Or you may choose a different fabric altogether and specify it in the optional note at checkout. 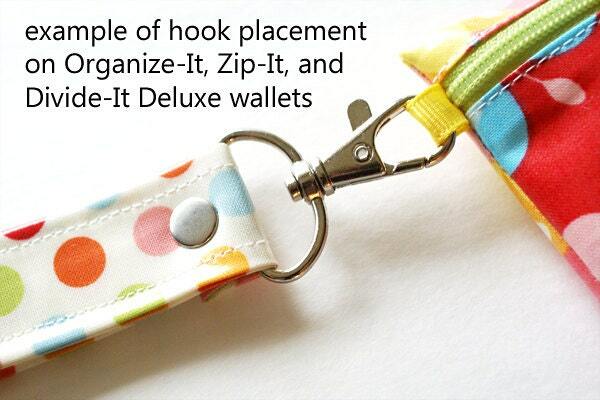 If you are purchasing a strap to go with a kids Give Save Spend set, please choose the fourth option. The straps are slightly smaller than the adult ones, plus I rarely have extra of any of the kid-specific fabrics, so I will need to choose one that coordinates. Melissa was so fast in sending this out even when creating the matching wrist stripe for me with this order. The pattern of the material was just as beautiful in real life as it was in the photo on her shop. I love that the material can expand to the amount of dollar bills that you put in it. Also, the material is washable and water proof. The dividers are sturdy and this wallet for the cash envelope system will last a long time and not have to keep being repurchased! Super helpful and responsive seller. She makes a fantastic product! Fabulous, responsive, on time delivery- what more can I say? Just perfect!